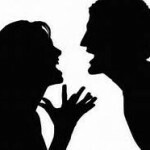 Conflict can be between two people: children arguing over a toy, two adults wanting the same parking space, or a wife feeling neglected by her husband. But it can also be two people with opposite personalities placed in close proximity. Remember Oscar and Felix? One was a slob and the other a neatnik? How about two roommates at college, one is sophisticated, glamorous, the other overweight and athletic? Children who populate the family who have their own unique set of personality traits that naturally clash. Sitcoms do this all the time to great effect. Even romance is a considered conflict. Two people who are attracted to one another, yet fearful of rejection, trying to get to know one another with everything at stake, their heart, their future. Will this work out, or won’t it? 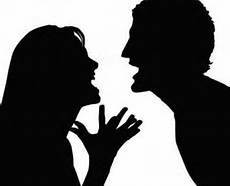 One of the reasons romances are so widely read is because of the “conflict” of romance. You might be writing a murder mystery or general fiction, but consider an element of romance to heighten the tension. Conflict is also violent: murder, robbery, and even war. These topics populate modern literature, and even the Bible, for good reason. Readers pick sides. They have an inborn sense of justice and they want the good guys to win and the bad guys brought to justice. Don’t think you’d ever write anything like this? How about a third party stealing the beau in your romance novel, or your main character being accused unjustly of a misdeed in your mainstream novel? This entry was posted in Christian fiction and tagged ACFW, characters, Christian writing, conflict, creative writing, fiction, NCWA, Tension on September 21, 2013 by Judy Bodmer.